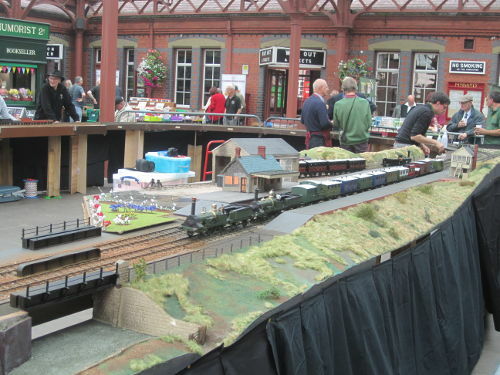 2017 Annual Open Meeting - Kidderminster. 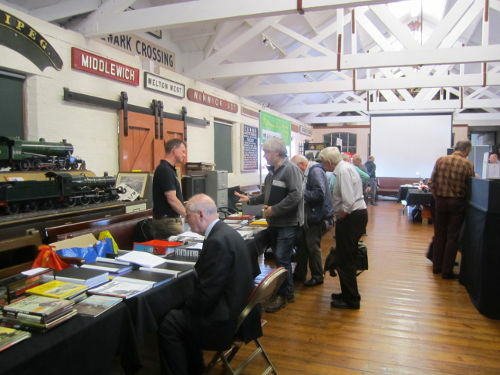 Once again this event was held in the Kidderminster Railway Museum and once again it was a wonderful event. 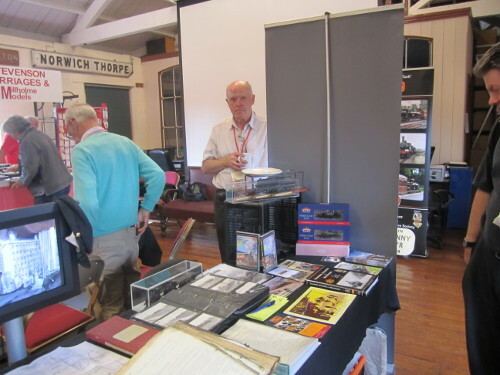 Displays and demonstrations for the historian and modeller - so anyone interested in the LNWR. 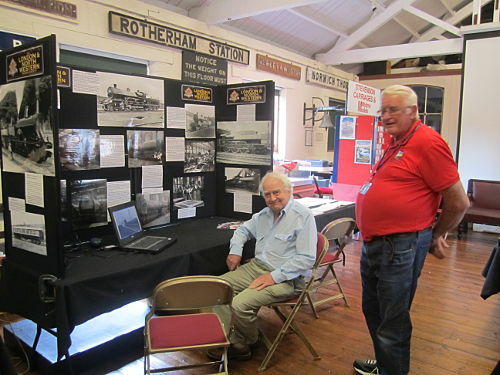 The selection of photographs below should demonstrate why it was well worth attending. 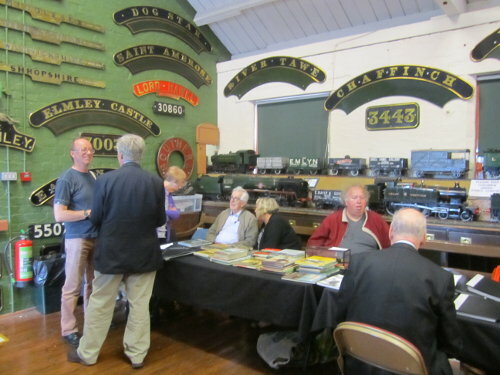 Thank you Ted Talbot for organising it. 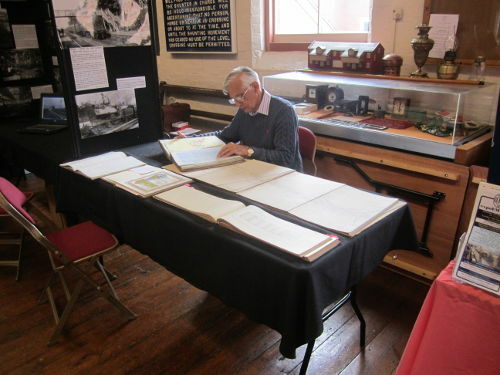 David Patrick takes moment to do some studying. 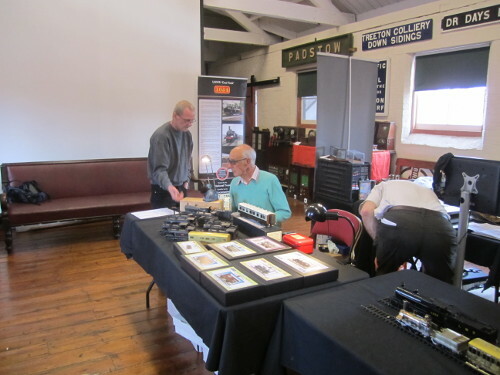 Norman Lee and Paul Barker are not relaxing after a long lunch. 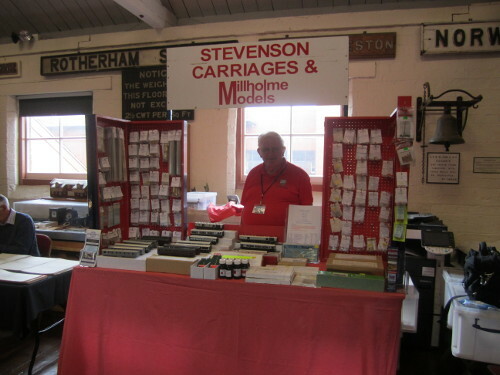 Chris James looks happy away from his stand. 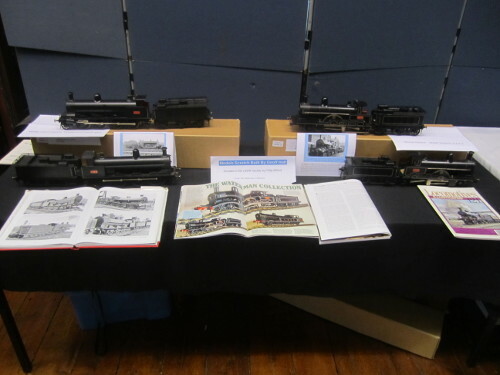 Philip Millards donated models - but Philip avoided the camera !. 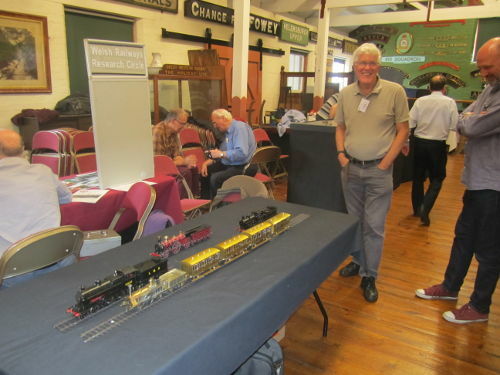 Paul Barker with those lovely coaches. 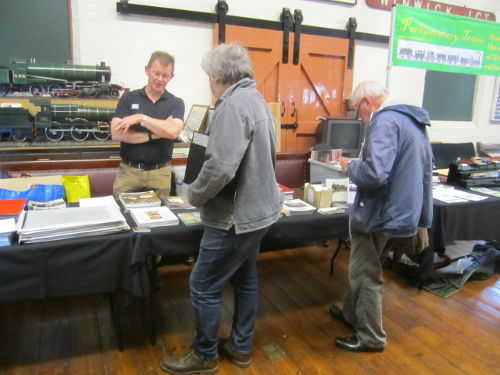 Ian Mathews tries to remember why there are portfolios and drawings in front of him. 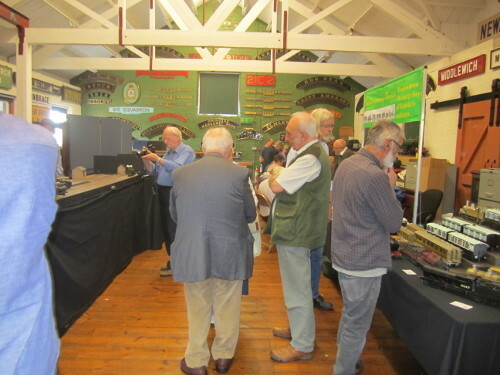 ...chats to Martin O'Keefe, whilst Ted Talbot chats to the ladies. 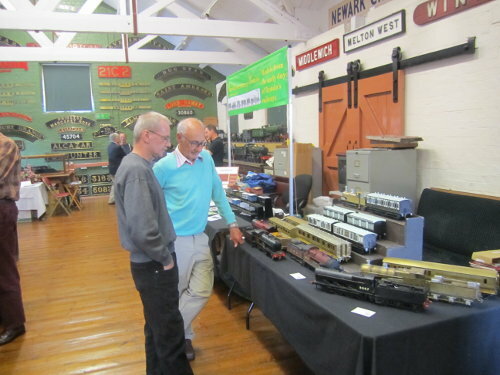 Trevor Couzens (Mercian) getting some much welcomed advice from Roger of Walsall Model Industries. 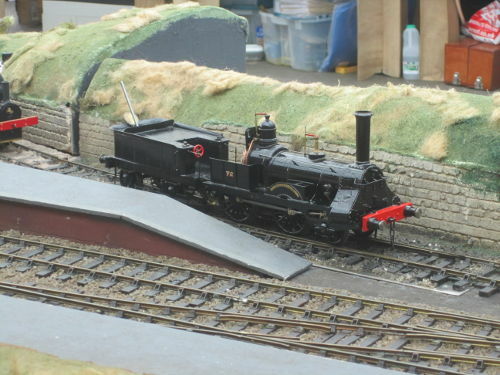 Beautiful models even if the Claugton was in LMS livery. 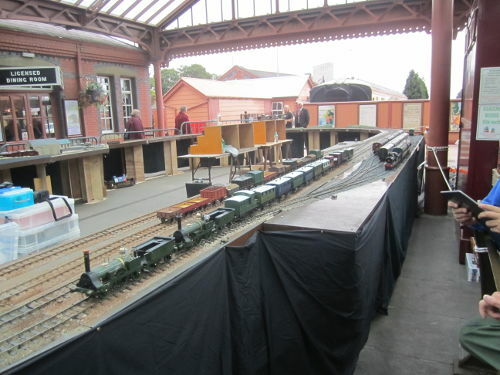 General view of indoors with Ken Wood (white haired gentleman) in the centre. 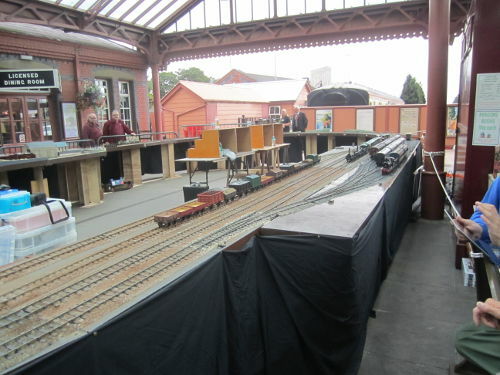 Trickey taskin action on main indoor layout. 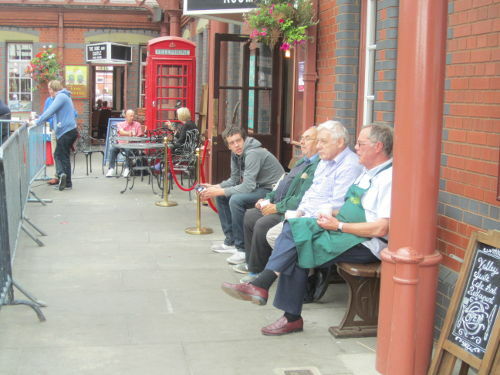 Gents resting whilst younger visitor in charge using David Viewing's remote control. A river of liquid fire in Hades or No. 72.